My Auntie Eva was born on 4th Dec 1901. S.S. No 2059 Upper Diamond Creek as a pupil from 1907 – 1914. Diamond Creek S.S. No 1003, 1915-1916. Student at Melbourne High School, 1917, 1918,1919. 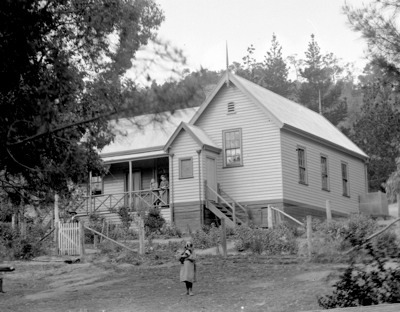 Was a Junior Teacher for 9months at Eltham State School, in 1920. She was also a Junior Teacher for 3 months 1920 at Diamond Creek. 1921,22,23 Junior Teacher S.S.1003 Diamond Creek. 1924-1925 Head Teacher at Teddywaddy West S.S. 2865, up to Easter 1926. Assistant Teacher at Spensley St, Clifton Hill S.S. 3146, from Easter to December 1926.-1927. Assistant Teacher 1927-1937,S.S.1003, Diamond Creek. 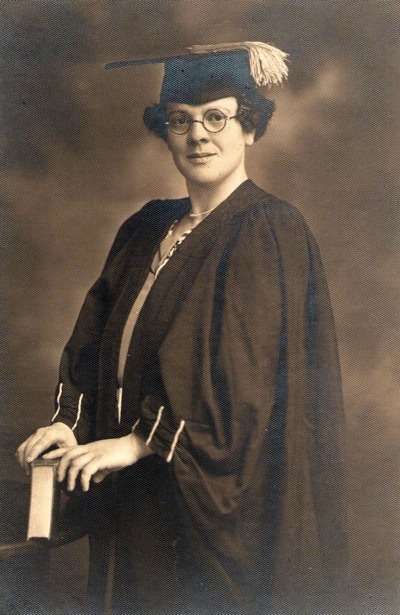 During this period 10 years 3 months she studied part time at Melbourne University and Teacher’s Training, she left at the end of 1937 and passed (T.P.T.C.) Trained Primary Teacher’s Certificate. 1938-1940 she was Assistant grade 4 teacher at S.S. 183 Dunkeld. 1941-1945 Assistant grade 4 teacher S.S. 1515 Elmore. 1946. Assistant grade 3 teacher at S.S. 1410 Kerang. She resigned in May 146 to get married. Auntie Eva spent a total of 26 years 3 months as a Teacher in the Victorian Education Department. She also got Cerificates, in the following, Speech Training, Australian Red Cross Society, London College of Music, first prize in Wesley Club Competitions, Nov 1940 for Recitation. Associate Member of “Sarasvati Yoga Society 1966. Country Women’s Association. Theory of Music Cerificate 1923. She was also a member of “The Players and Playgoers Association. Certificate of Cookery (Education Department.) Junior Swimming Certificate. After retiring she and Uncle Ted travelled overseas to Wales, England, Isle of Man (3 times), as well as the Continent of Europe. She used to have a little Chevrolet Roadster car, Reg No:- 205-633, with a “Dicky Seat” on the rear and when she came to visit us at Koyuga, we all used to go in this little car to Tongala to see the Movies. My brother, sister Betty and I used to sit in this little “Dickie Seat”. She would never drive in Melbourne, so when she came home to visit Uncle Bal, he used to meet her on the outskirts of Melbourne and drive her little Car. Being, a School Teacher, try to imagine the following, three little kids who dearly loved their Auntie and anxiously waiting for her visit to our family, and maybe, the next day, she would read to us and get us to read to her. I remember one day it was Betty’s turn to read to her and instead of commencing at the front of the book she started at the back of it. Auntie Eva was very upset with her, so, she gave Betty a very hard smack on her leg. Mum was not very happy about this and she told Auntie Eva off, then Dad had to intervene. But, that is history now, the three of them have passed away. Auntie Eva died in Glenroy Nursing home on 9th December 1989. She is buried at St Kilda Cemetery.